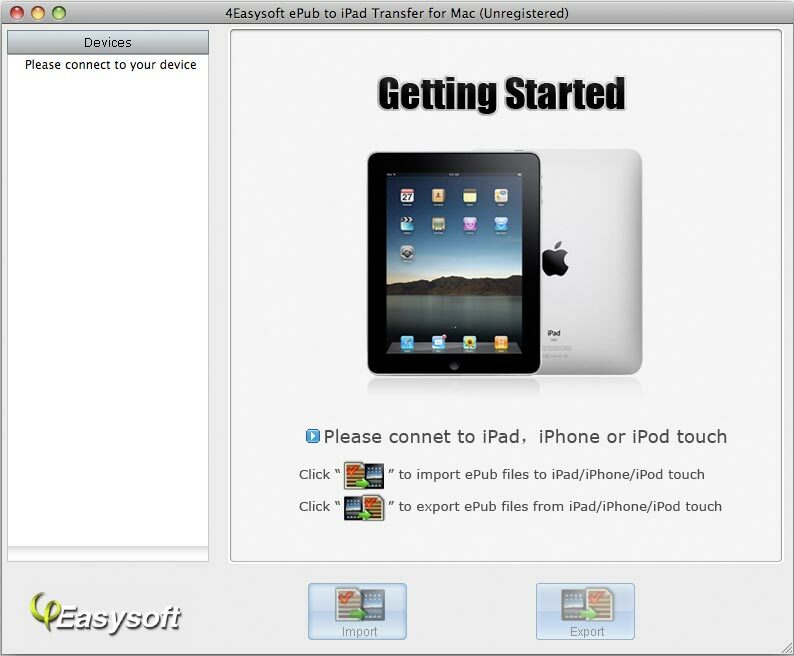 Description: 4Easysoft ePub to iPad Transfer is a new desktop application to transfer ePub to iPad or ePub from iPad. With powerful functions, it can easily help users transfer ePub files to iPad directly or export some ePub format contents in your iPad out to some other storage devices. 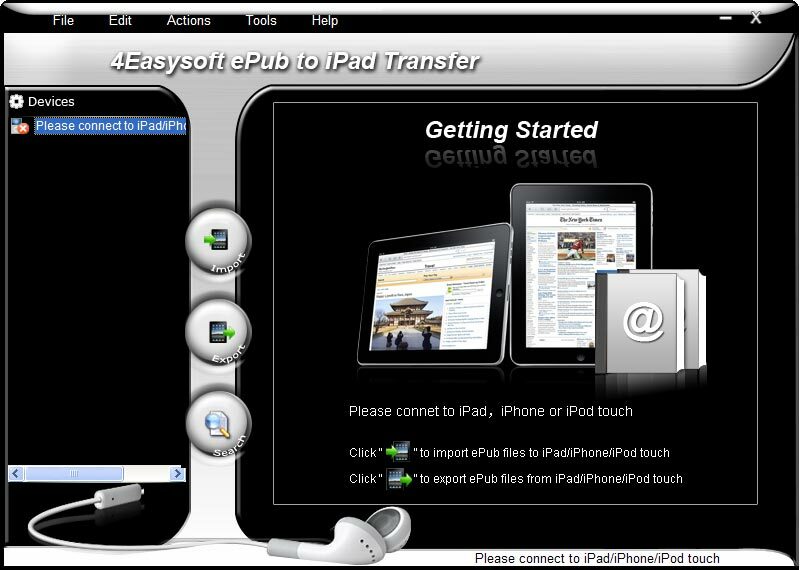 Description: 4Easysoft ePub to iPad Transfer for Mac is a newly designed application. It offers user an easy way to transfer ePub to iPad into Mac or ePub from iPad. Depending on its versatility, 4Easysoft ePub to iPad Transfer for Mac can help users solve all the problems on transferring ePub files to iPad directly or output some ePub format contents in iPad out to Mac. 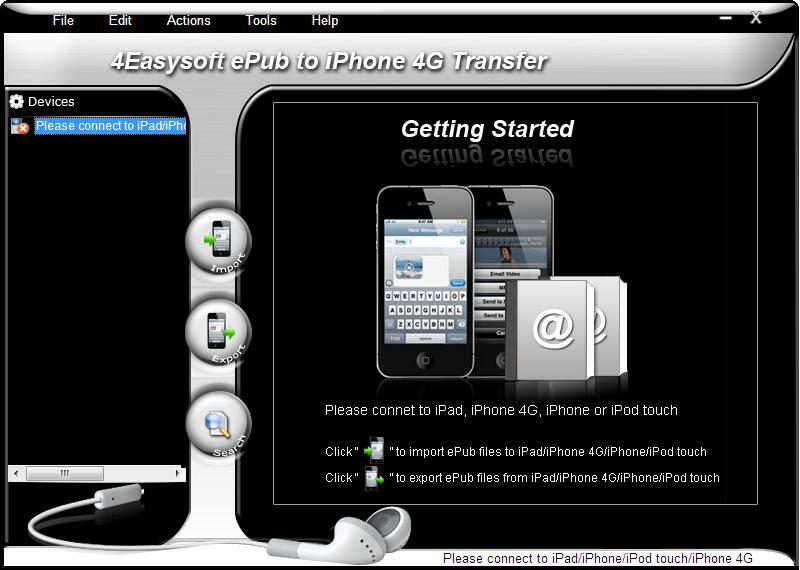 Description: 4Easysoft ePub to iPhone 4G Transfer, the best iPhone 4G ePub Transfer, can meet all your needs to transfer ePub files between iPhone 4G and PC. It can help you transfer ePub from PC to iPhone 4G and export ePub file to iPhone 4G. 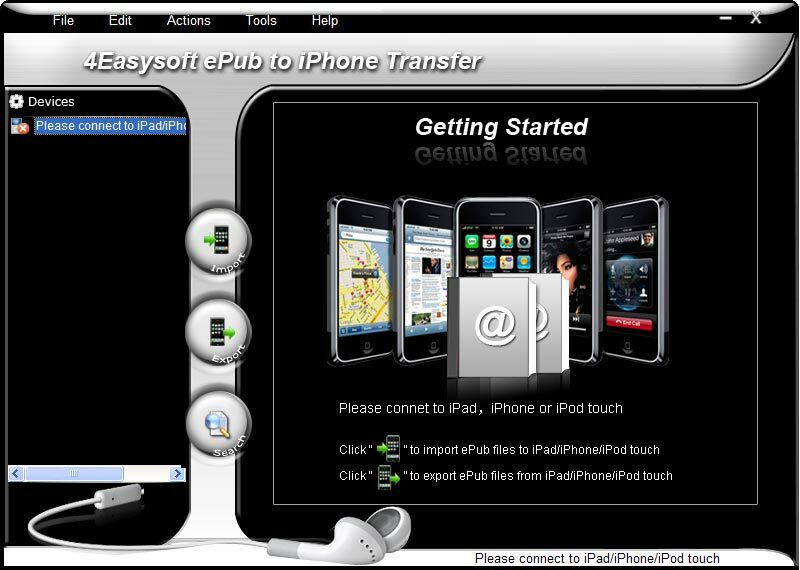 Description: 4Easysoft ePub to iPhone Transfer can easily help users transfer ePub files to iPhone directly or export some ePub format contents in iPhone out to some other storage devices.Plus, during the transmission, with simple operation steps and intuitive interface, all you need to do is just to enjoy it. 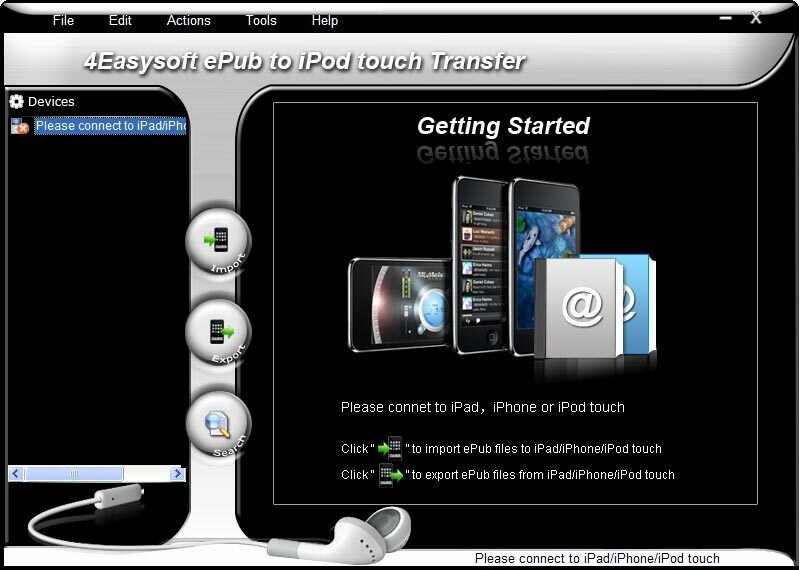 Description: 4Easysoft ePub to iPod Touch Transfer is a pragmatic application to transfer ePub to iPod Touch or output ePub from iPod Touch. Owing to its simple operation steps, easy-to-use interface, and fast processing speed, it can easily help users transfer ePub files to iPod Touch directly or output some ePub format contents in iPod Touch out to some other storage devices. Description: 4Easysoft iPhone Transfer SMS is the specially designed iPhone SMS Transfer for you to copy and backup iPhone SMS to local disk to avoid the missing of your valuable messages or the full message box rejecting to accept new messages. You can directly copy iPhone SMS to computer as .txt files and backup timely iPhone SMS. For you to full manage iPhone SMS, you can also delete the SMS that you do not need. Description: 4Easysoft ePub to iPhone 4G Transfer for Mac provides you with powerful functions to transfer ePub files from Mac to iPhone 4G directly without iTunes, and export ePub from your iPhone 4G to Mac for backup. Furthermore, the ePub to iPhone 4G Transfer for ePub possesses an intuitive interface to make all the operations quite easy for both beginners and advanced users. Description: 4Easysoft ePub to iPhone Transfer for Mac has many functions which are powerful enough to meet all the needs of iPhone users.The first one is to transfer ePub files to iPhone directly without iTunes. Secondly, it can easily help you to export ePub format from your iPhone without any loss. 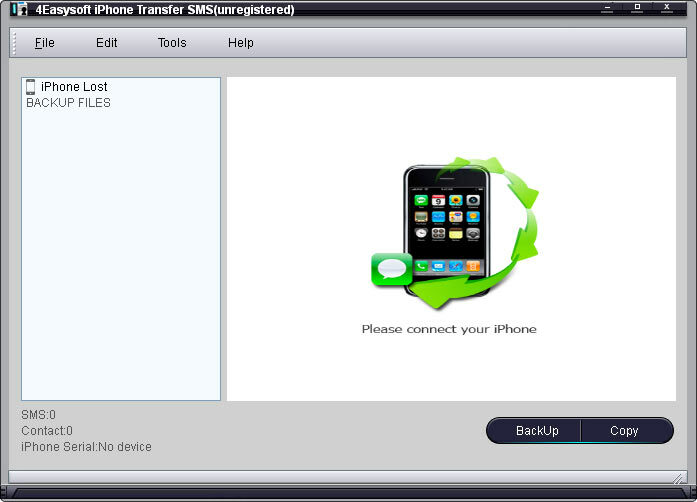 The next, with powerful compatibility, you can also use this iPhone Transfer for Mac in iPod touch, iPad, etc. 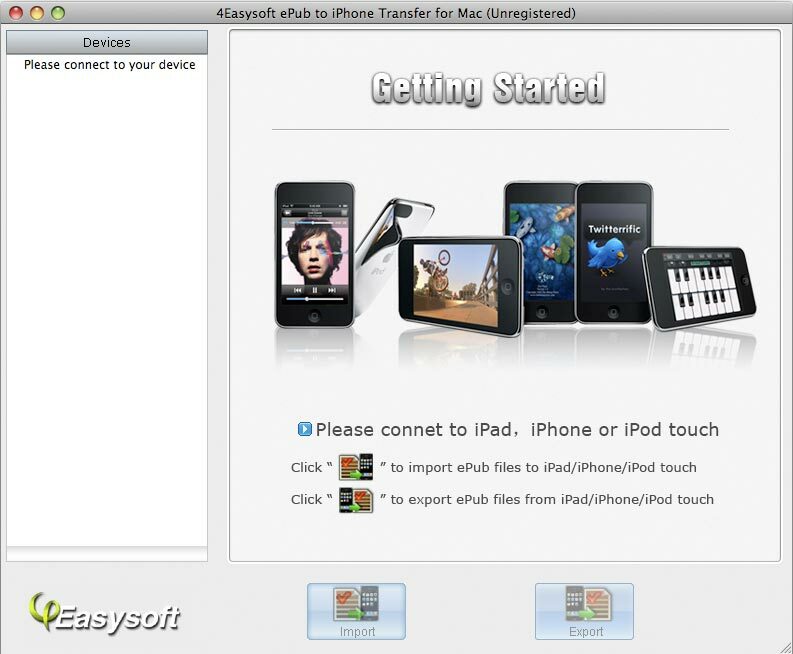 Description: 4Easysoft ePub to iPod Touch Transfer for Mac,as a superb desk application for iPod Touch users,it can not only help iPod Touch users to transfer ePub to iPod Touch or ePub from iPod Touch for Mac, but also can have iPod Touch users fully enjoy their wonderful digital life with simple operation steps, easy-to-use interface, and fast processing speed.